There’s a scene in The Anubis Gates that’s stayed with me ever since I first read it, some twenty or so years ago: our hero, Brendan Doyle, a professor at California State University Fullerton (one of my old alma maters, by the way), has found himself magically transported back to London in 1810. Doyle, fascinated by a time he’s only read about, but also devastated that he’s trapped forever in the past, is walking through a street market when he hears someone whistling a tune, a song he suddenly realizes he knows. The tune? “Yesterday” by the Beatles. For me, that’s a special moment of brilliance in a novel packed full of all kinds of brilliances: a shivering little touch of perfect story-telling. One of the things I think is particularly excellent about the book is the way that Powers sort of restrains himself in his writing. Put it this way, if someone else were to write The Anubis Gates, especially these days, they’d have a tendency to make the book’s language too closely mirror the style and language of the time. 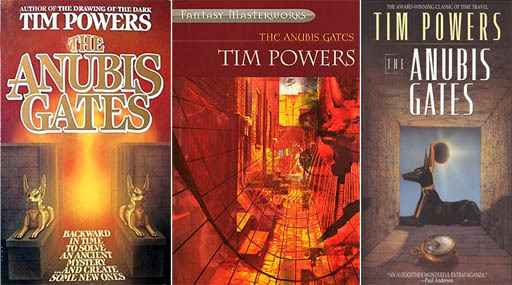 But what Tim Powers does in The Anubis Gates is, instead, get to the basic – and fantastic – nature of a book from that time without resorting to overly-elaborate tricks. The story-telling language in The Anubs Gates is the best kind of writing, smooth and seamless – infinitely readable and totally enjoyable. But back to what makes The Anubis Gates so special. Like I said, what Powers has done is create an marvelously enjoyable book filled with the characters and details that feel like they’ve come from every Penny Dreadful and broadsheet from the 1800s: Horrabin, the nightmare clown and king of the London beggars; Jacky, the beggar who is actually the daughter of nobility on a quest for revenge; Amenophis Fikee, magician and leader of a gypsy clan cursed to become the body-thief Dog-Faced Joe, and so much more. But The Anubis Gates is not just a playground for the author’s vivid imagination, for many real literary and historical celebrities also walk across the stage: Byron, publisher John Murray and many others. The world Powers creates – or just the past of the real world he plays in -- feels vivid, real, and always enjoyable. 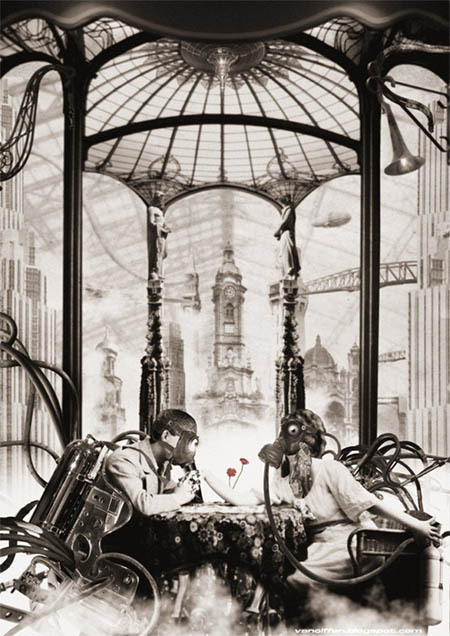 In the end, the Anubis Gates remains a classically stylish and brightly imaginative novel told in a delightfully elegant way – an enjoyable read that feels timeless, which is quite an accomplishment for a book about time and travel.